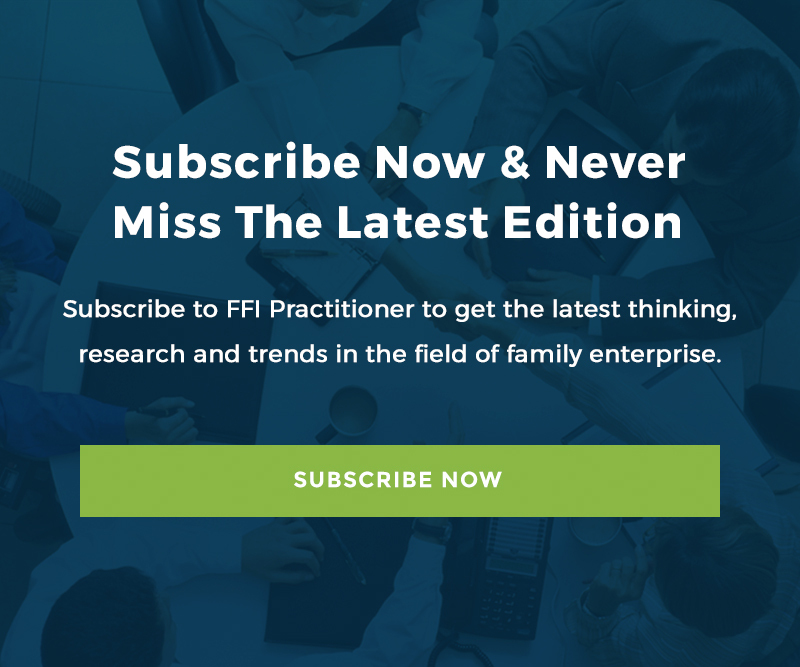 BOSTON, MA – JULY 19, 2017 – The Family Firm Institute (FFI) has announced the recipients of the 2017 Academic Awards and Family Business Review (FBR) Awards. These awards will be presented at the Chicago Conference Gala Dinner at the Art Institute of Chicago on Friday evening, October 27. Patricio Duran of Universidad Adolfo Ibáñez, Pascual Berrone of IESE Business School, Luis Gomez-Mejia of Arizona State University, Pursey Heugens of Erasmus University Rotterdam, Tatiana Kostova of the University of South Carolina, and Marc van Essen of the University of South Carolina for their paper, The Family-Legitimizing Environment: A key determinant of family-controlled firms’ prevalence, strategy, and profitability. This award is given to the reviewer who has excelled in their reviewing for FBR, highlighting the importance of reviewers in the development and publication of scholarly research.